After more than two years of investigation, the Senate Select Committee on Intelligence has not found evidence of collusion between the Trump campaign and the Russian government, the committee’s Republican chairman said in interview. “If we write a report based upon the facts that we have, then we don’t have anything that would suggest there was collusion by the Trump campaign and Russia,” North Carolina Sen. Richard Burr told CBS News. Republicans on the House committee released a report on April 27, 2018, that found no evidence of collusion. But that report was dismissed by Democrats, who have accused California Rep. Devin Nunes, the top Republican on the House panel, of failing to conduct a full investigation of Russian meddling in the 2016 election. Burr has not been marred by the same sniping from Democrats. He and Democratic Virginia Sen. Mark Warner, the vice chairman of the committee, have largely operated in sync during the Senate probe. 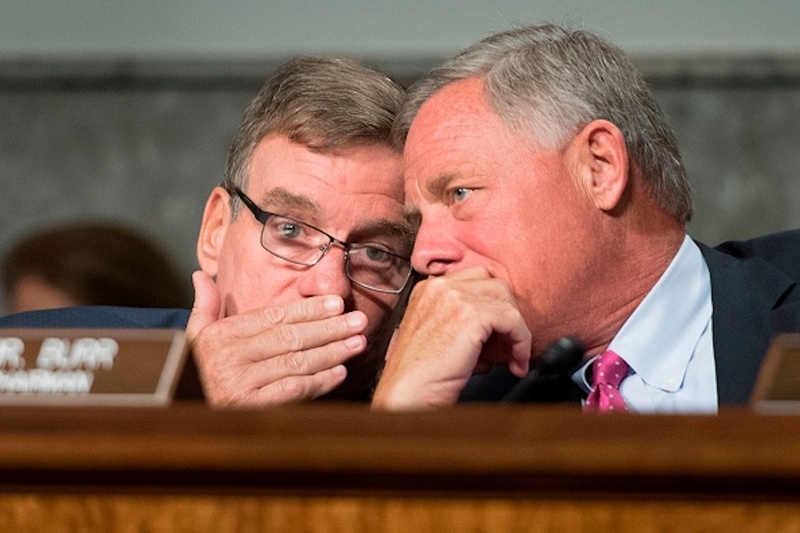 Burr noted in his CBS interview that he and Warner agreed early on that they would only take major investigative steps, subpoenas or witness interviews, only if both of them approved. But unlike Burr, Warner has been a prominent presence in the media, appearing frequently for cable TV interviews to discuss Russia and the Trump campaign. Burr has said in the past that he has not seen evidence of collusion involving the Trump campaign. In September, he told Fox News that the committee had not seen “hard evidence” of collusion. But his remarks to CBS are his strongest comments to date on the topic. They also indicate that the committee has not received any new evidence in recent months that would undercut that assessment. They could also portend a partisan rift as Democrats face political pressure to prove that members of the Trump campaign conspired with Russian operatives. Warner has not said that he has seen evidence of collusion, but he has touted various developments in the Russia probe as evidence of possible conspiracy with Russia. Burr’s remarks come just as the House Intelligence panel is re-upping its own Russia investigation. California Rep. Adam Schiff, the Democratic chairman of the committee, said Wednesday that the panel will begin exploring five areas of inquiry, including whether Trump associates colluded and whether foreign actors have leverage over President Donald Trump or his associates.